Such companies would likely not pass any ESG (environmental, social and governance) criteria used today to evaluate a company’s practices by investors or lenders — the field in which Muenz currently works for Kao Corp. — but Muenz sees innovation in how Pittsburgh embraced change when the government, academia, businesses and local communities banded together. “As humans, we look for the differences in people rather than things that are the same. A gentleman walking his dog, teenage girls traveling together in a little gaggle of a group; there’s so much more in common than there is different, but our brains are trained to focus on the differences,” Muenz said, smiling. He worked in research and development for 15 years before branching out into marketing and business. Muenz was surprised when company president and CEO Michitaka Sawada tapped him for the ESG position but conceded the decision, one of the first instances where a non-Japanese holds such a senior level role and is involved in corporate governance, made sense. “Sawada-san’s known me for a long time; we worked together in R&D. He knew how I thought and felt about Kao and Kao principles,” Muenz said, describing his workplace as a mutually supportive environment where people are interested in achieving and finding success together. “We really want to see ESG become a driver of our business, a driver of our brands and products,” he added, reiterating Sawada’s vision that ESG standards were also something the company could rally around to make a difference in society. 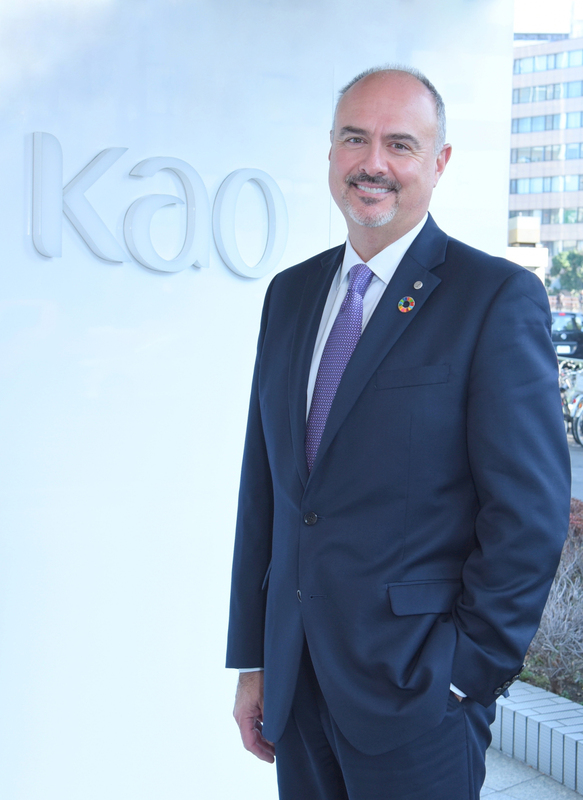 Certainly, Kao has been making strides in its ESG efforts thus far. The consumer products and chemical business firm was selected for the Water A list by the CDP, a “global environmental impact non-profit that drives companies and governments to reduce their greenhouse gas emissions, safeguard water resources and protect forests.” It ranked among the clean capitalism magazine Corporate Knights’ 2019 Global 100 Most Sustainable Corporations in the World and was also listed as one of the 230 companies selected for the 2019 Bloomberg Gender-Equality Index. While Muenz has helped launched billion dollar products during his career, some of his most gratifying business achievements have revolved around interactions and relationships with his co-workers, including one who was unable to finish his college degree due to extenuating family circumstances. “Steel City” native Dave Muenz’s career spans over 34 years working in the fast-moving consumer goods and retail sectors. Graduating with a bachelor of science degree in chemical engineering from Indiana’s Purdue University, Muenz joined Procter & Gamble Co. in 1984 working in new product development, before heading to J.M. Smucker Co. in a similar role. Following stints at Pepsico and McDonald’s, he joined Kao Corp., first undertaking a leadership role in research and development. Muenz has been a member of the Kao management team for 20 years and has led the development and introduction of several successful new businesses for the company. 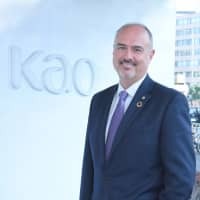 In his current role as executive officer of Kao and senior vice president of the ESG (environmental, social and governance) Division, Muenz is responsible for forming and executing global ESG strategies across the Kao Group. His interests include classic rock music, golf and travel.